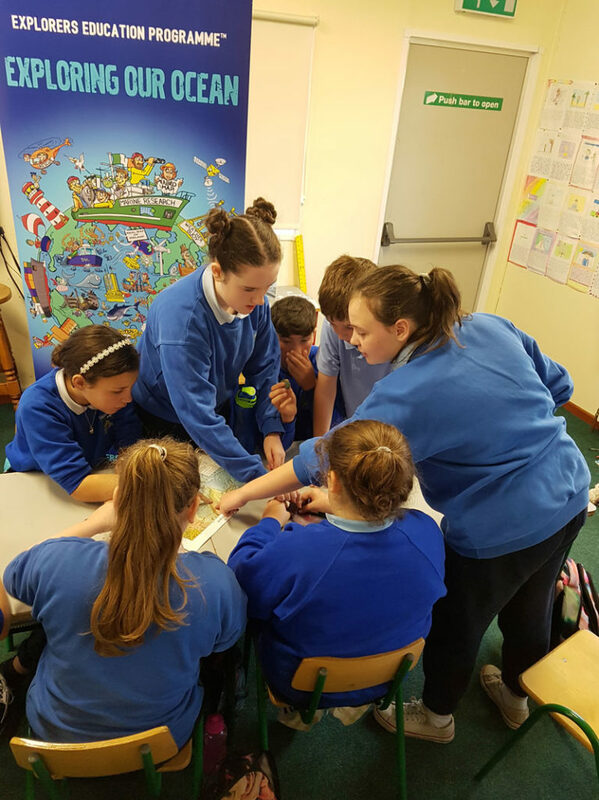 The Explorers Education Programme has visited Carrabane National School in Athenry and the students have been learning all about the seismology, the real map of Ireland and the science of the SEA-SEIS mission which is currently deploying seismometers around Ireland’s marine territorial water. The 30 students shared their knowledge of tectonic plates and what they had studied about seismology. They were able to talk about the real map of Ireland and discussed the different depths of the ocean around Ireland. Several students shared stories about their experiences of the ocean; seeing marine mammals and seabirds and talking about the various vessels they sometimes see in Galway bay including the Celtic Explorer and Celtic Voyager. 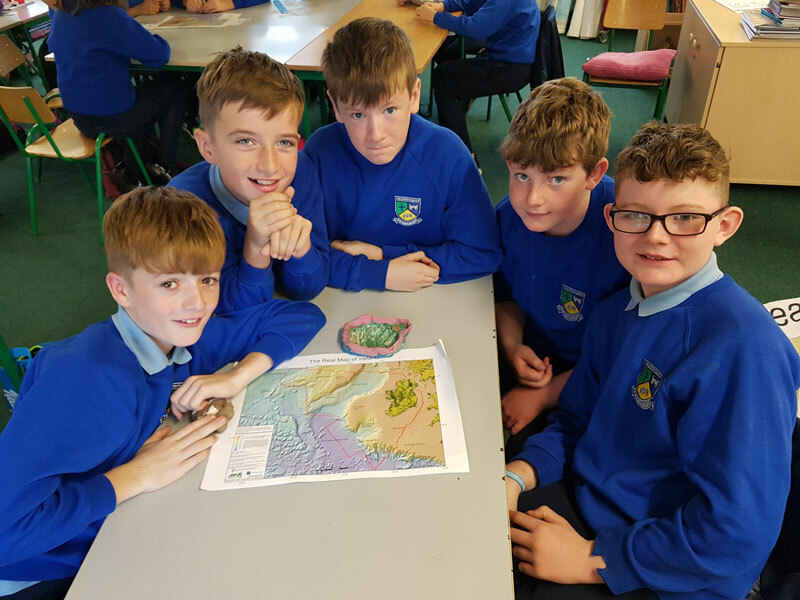 In groups they then used modelling clay to create their representation of a section of the sea bed, using the real map of Ireland as a reference for depth. Word of the students great work even made its way to the SEA-SEIS team onboard the Celtic Explorer in the deep Atlantic who recorded a special message for the sixth class students to thank them for their interest in the mission. Next, the students plan on creating their own seismometers as their class project, and will further investigate the topic, while also following the journey of the SEA-SEI team via the blog.